I've always wanted to try needle felting. I'd never even heard of it until I started knitting and crocheting, my first time seeing it being when Stacey Trock felted a cute little animal and it got me interested. 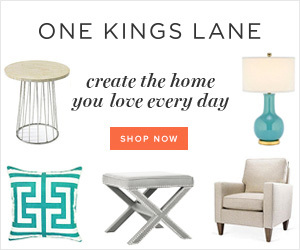 A few years ago, I saw a sewing blogger give a code to join the (now closed) craft class website called The Amazings. This was a British run website with classes taught by "amazing" older people who were top in their crafts at one time. It was really a fantastic idea for a website, and it was a shame it didn't take off, but the reason I mention it here is that was where I first really learned about needle felting. 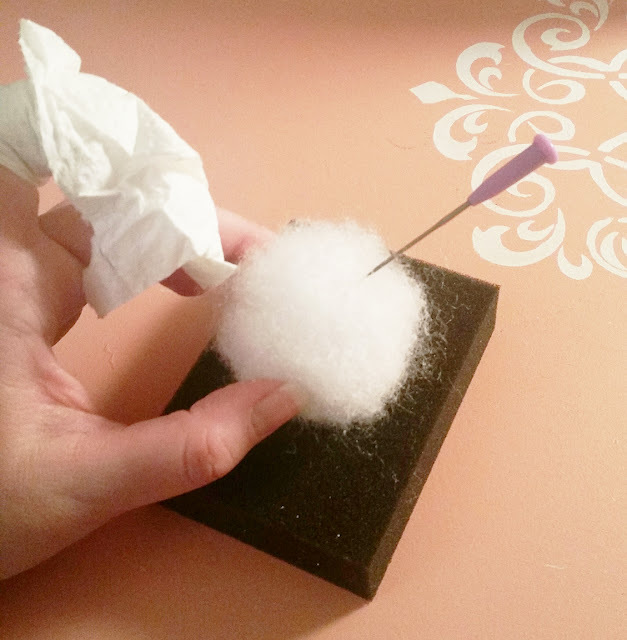 I used my free class for the needle felting class, and it was very instructive to watch. At the time I didn't have any materials of my own to try, but I still remember that sweet old British lady giving her tips and tricks to making cute animals. I wish I still had access to that class. Fast forward to now. 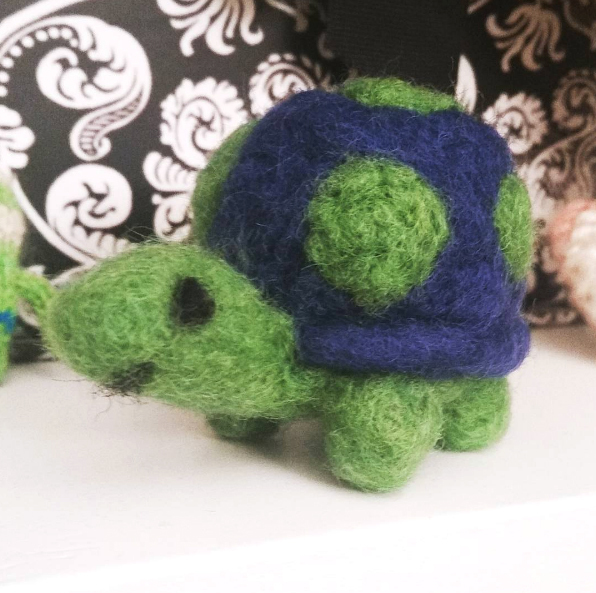 I've watched needle felting being done, and I even bought a kit to make a turtle from Joann's somewhere along the line, but I still hadn't tried it out. 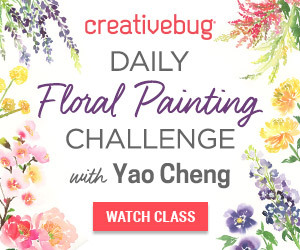 This past year I've enjoyed having a membership to Creativebug - an online class platform that teaches about all sorts of crafts. 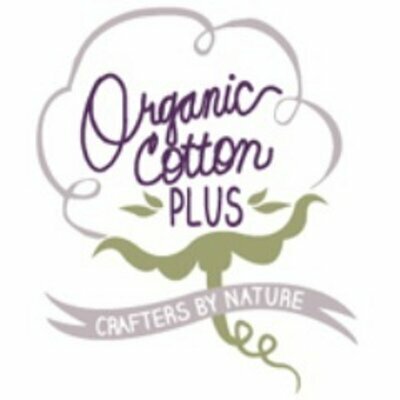 Since you can watch any classes you want when you have a membership, I've watched all sorts of classes I never would have on a platform like Craftsy where you buy each individual class. I really love watching the art classes, or things like picture framing, or even stamp carving. I don't have the equipment for many of these crafts, but they are neat to learn about nonetheless, and I certainly am more apt to try something new after watching their videos. 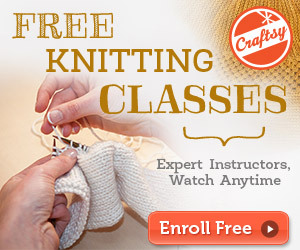 One day when putzing around on the site, what should I come across but a class on needle felting! I knew it was finally time to give this cute craft a try. I pulled out my kit and set to work, using the Creativebug video for guidance. The kit I bought included wool roving in blue, green, and black in the quantities you would need to make 2 turtles (one big, one small) as well as a foam block, felting needle, and instructions. The instructions were extremely short - definitely not something for anyone to use on its own unless they are experienced with felting. I was happy to have the Creativebug class to draw from. 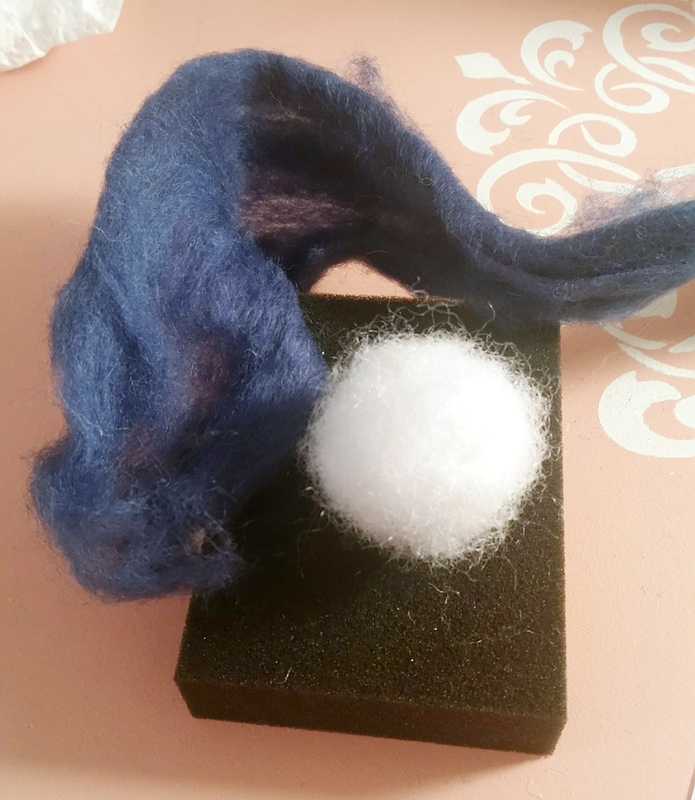 The kit tells you to first wet felt 2 balls of blue roving and then let them dry for 2 days before continuing. Yeah, that wasn't going to happen! I wanted to make my turtle now! I remembered on The Amazings a little tip the lady gave - you can use polyfill to make your base shapes and then just felt the wool over top and no one will be the wiser! 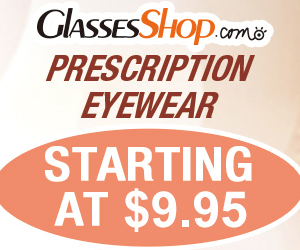 It saves your wool, which can be expensive, and felts easily giving you a great base to start with. So that's what I did :) I grabbed a wad of polyfil and started stabbing it like crazy. I stabbed my finger pretty early on (thus the paper towel in the photo below), but it didn't bleed on the project, lol. I was a bit more careful after that - these needles really are sharp! After my polyfill was nice and solid and almost the size I needed, I covered it with blue roving and followed the rest of the instructions for the kit. 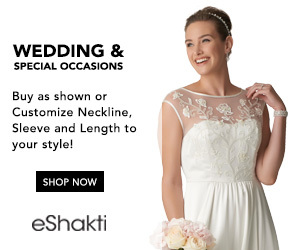 This is where the Creativebug class came in really handy. The kit just said things like "felt shapes onto ball", which was hardly what I would call descriptive or helpful. Thankfully the Creativebug class showed how to felt your basic shape, how to shape it to your liking, what to do if you felted too much and got creases or divots, and how to apply other colors. I liked that class so much that I decided to watch another more specific felting class on how to needle felt a gold fish and make a little aquarium display. It was so cute! I totally want to make one of these, but I only had green and blue roving on hand, lol. I'll be getting some other colors now for sure. The second class taught how to make tiny details like eyes and how to make odd shapes and what the best way to apply them is. 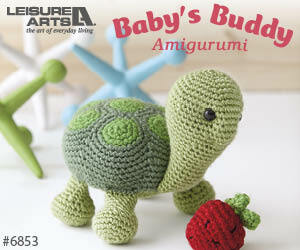 I was very impressed overall, and I was able to finish my turtle and have it look remarkably like the example photo. If I'd been left with just the kit instructions I know my results would never have been as good. Isn't he adorable?! I call him Ludwig :) He sits very comfortably on my étagère with my knitted animals. I can see this it the beginning of a new interest. The results are so cute, and it was very satisfying to just sit and stab something for an hour or so, lol. 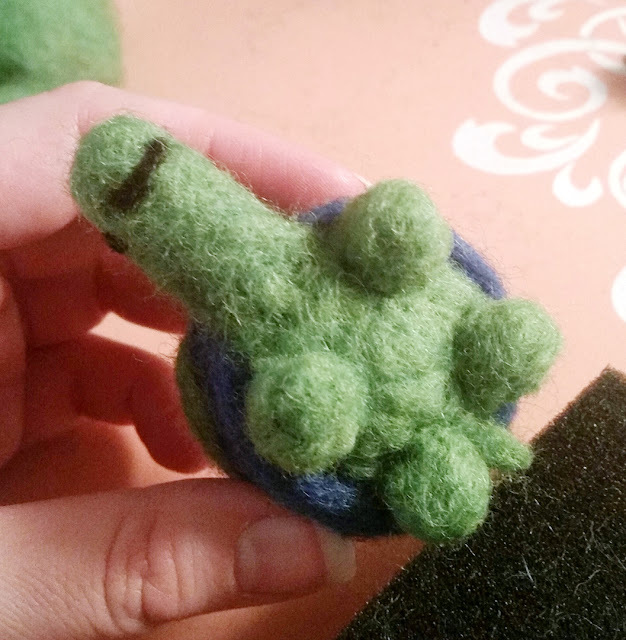 I'd had a pretty bad day before I made this turtle, and I took a chance starting on the project with the mood I was in, but it really was a good stress reliever to stab away at the wool. It may sound bad, but it's true :) Very cathartic. Plus you end up with something cute in the end! It's a win all around! 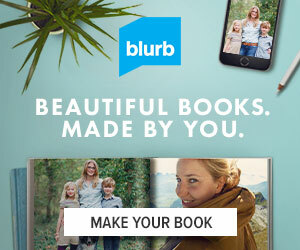 So, I have a little something extra for you - Creativebug has a nice little promotion going right now. As for me, I will certainly be making that goldfish at the very least. He's so cute! I'm glad to have had this little introduction to needle felting, and to have had my first project turn out so well :) Here's to trying new things!